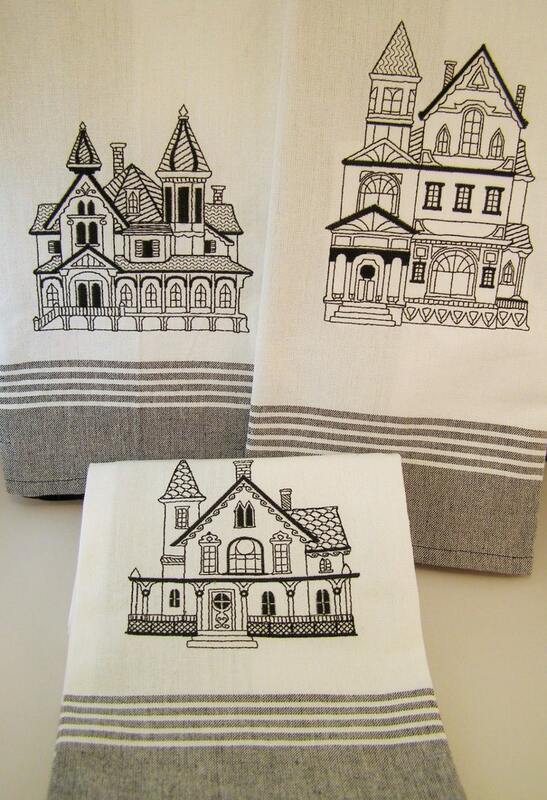 Crisp White and Black 100% cotton towels depicting 3 different embroidered Victorian Houses. Each towels measures approximately 20" x 28" and has a handy hanging loop in one corner. Always nice to have on hand to freshen your kitchen or to give as a thoughtful gift. 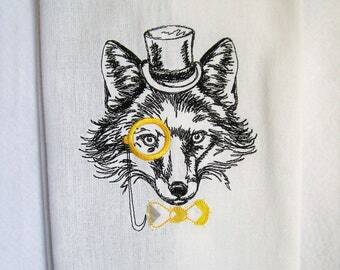 If you would like a variation of this please convo me. Perfect condition and fast shipping. Gave them as a gift to my mother and she loved them.